Over the past month, L.A. rents increased by 0.5 percent, leading to a year-over-year growth rate of 2.6 percent in August. Pasadena rents outpaced those of L.A. in August, giving it the highest rents in the metro. Venice took the lead as L.A.'s most expensive neighborhood for renters in August. 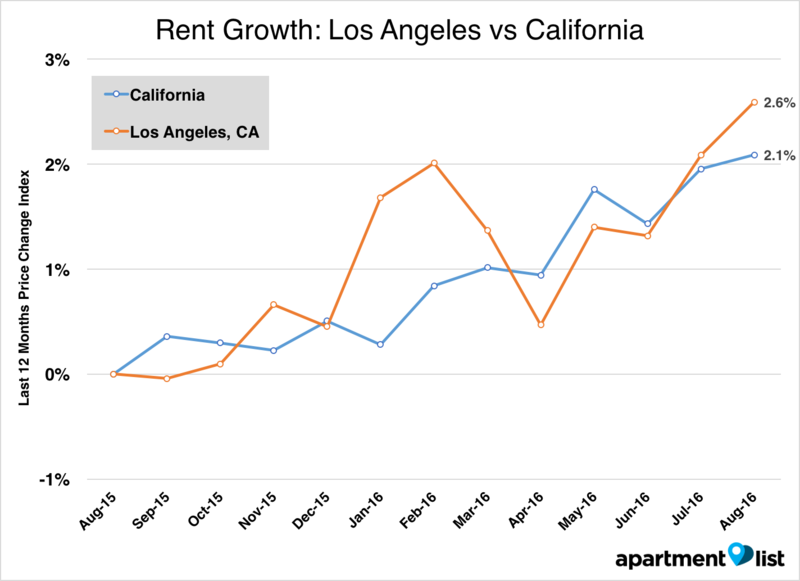 Apartment List recently released its September rent report for Los Angeles, finding rents grew by 0.5 percent from July to August. Over the past month, L.A. rents increased by 0.5 percent, leading to a year-over-year growth rate of 2.6 percent in August. 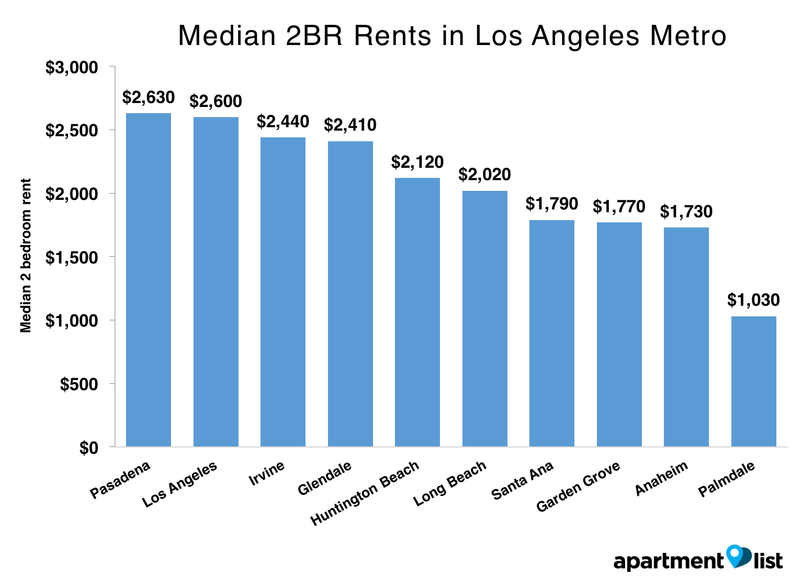 Median rents here were at $2,600 for a two-bedroom and $1,950 for a one-bedroom in August, making L.A. the third most expensive city for renters in California. Pasadena rents outpaced those of L.A. in August, giving it the highest rents in the metro. 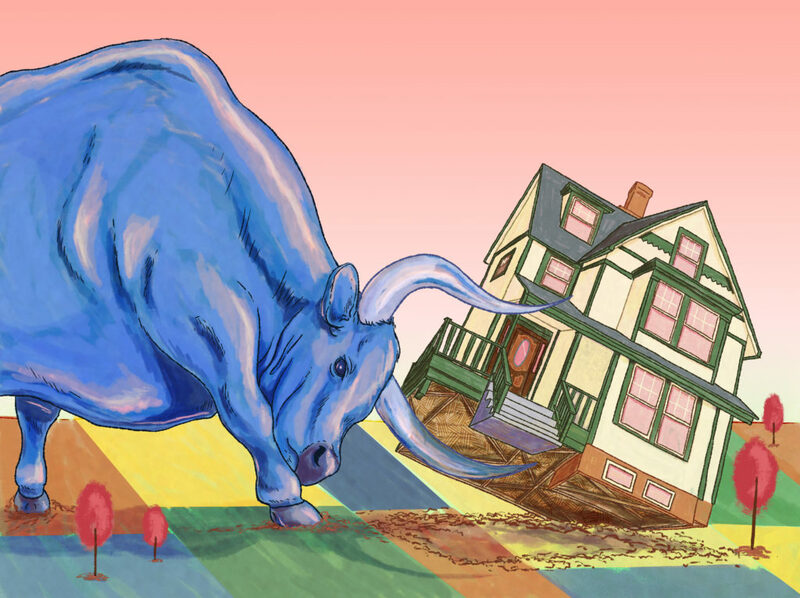 A two-bedroom in Pasadena costed $2,630 to rent, while a two-bedroom in L.A. was $2,600. One-bedroom prices for both cities are at $2,060 and $1,950, respectively. 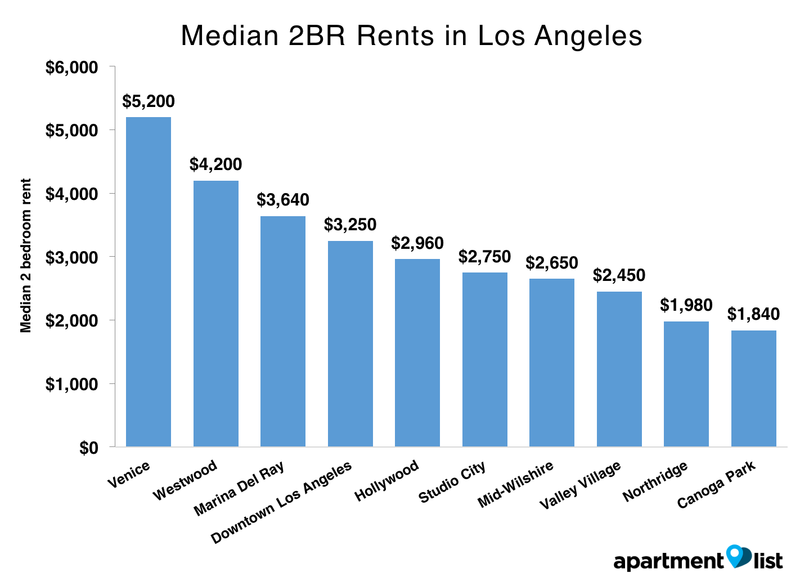 Pasadena is the most expensive city for renters in LA metro. Venice took the lead as L.A.’s most expensive neighborhood for renters in August, with an outrageous median rent price of $5,200 for a two-bedroom. The neighborhood’s median rent grew by 1.1 percent in the past month, putting it ahead of Westwood for most expensive. Westwood was at $4,200 for a two-bedroom in August. For methodology and data for other neighborhoods and cities in the Los Angeles metro, see Apartment List’s full report.